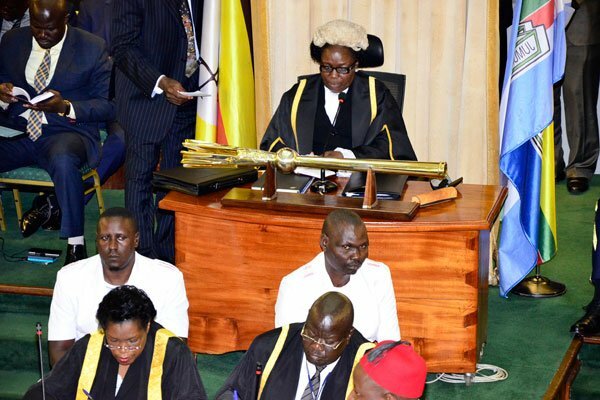 PARLIAMENT – Speaker Rebecca Kadaga was this afternoon forced to suspend plenary sitting after Legislators protested the continuous detention of five Members of Parliament following the chaos that ensued on Monday ahead of the Arua Municipality MP by-elections. Kadaga’s decision followed concerns raised by the Leader of opposition Betty Aol who warned that attempts by Parliament to simply gloss over the matter of incarceration of their colleagues would set a dangerous precedent in future if no action is taken to ensure their constitutional rights are upheld. It should be recalled that following the chaos that ensued in Arua district on Monday, that led to the death of Yasin and purported vandalising of President Yoweri Museveni’s vehicle, four MPs including; Paul Mwiru (Jinja East), Gerald Karuhanga (Ntungamo Municipality), Robert Kyagulanyi (Kyadondo East) were arrested and their whereabouts remain a mystery. Borrowing lyrics from departed Musician, Philly Lutaaya, AOL noted, that where today it’s their counterparts, tomorrow could be somebody else, and urged Parliament to stand up for our colleagues. “Yesterday, we demanded to know their whereabouts and it wasn’t very clear, they haven’t been taken to court and can’t be given any police bond because we are not sure they are in police cells. We are going to sit and legislate as if there is nothing; for us who care about our colleagues, we shall not sit here, if it means dividing among ourselves so that we can hunt for them, that is what we are going to do,” Aol argued. The Leader of Opposition’s sentiments were reechoed by Julius Ochieng (Kapelebyong County) MP, Gilbert Olanya (Kilak South) MP as well as Francis Zaake (Mityana Municipality) MP who expressed concern over failure by Government to come up with official position on whereabouts of the MPs, leaving the public to rely on rumours. Zaake said: “The rumours reaching us is that most of the members have been tortured badly and this has been evidenced by the pictures that are circulating on social media. 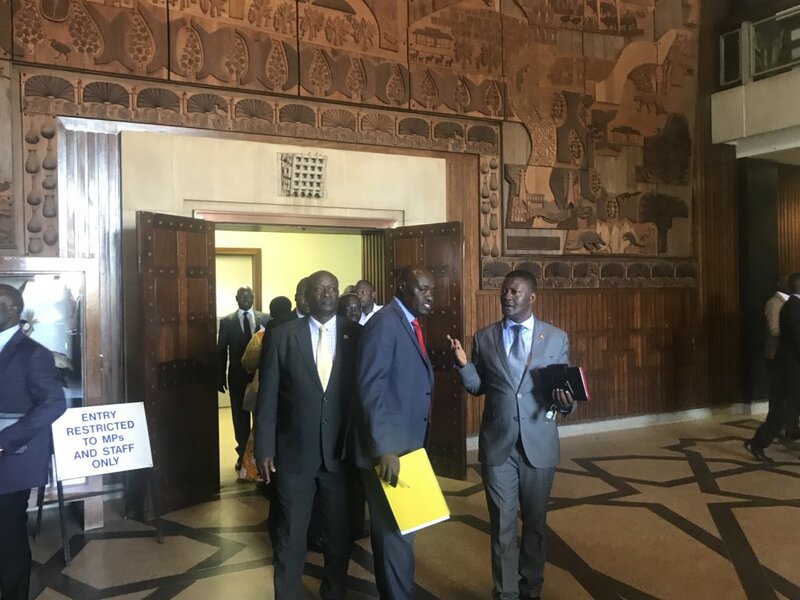 With the debate gaining momentum, Kadaga tasked the first Deputy Prime Minister, Gen. Moses Ali to explain to the house the whereabouts of the legislators, although, the Leader of Government business admitted to having no information on the whereabouts of the MPs. “I am sitting here and I have no information to begin with and therefore I have to look for information to say here but as for now I have no whereabouts of our colleagues,” Moses Ali said. Moses Ali’s admission prompted Speaker to suspend the plenary sitting for one hour to allow the Prime Minister to return to the house with clear information.